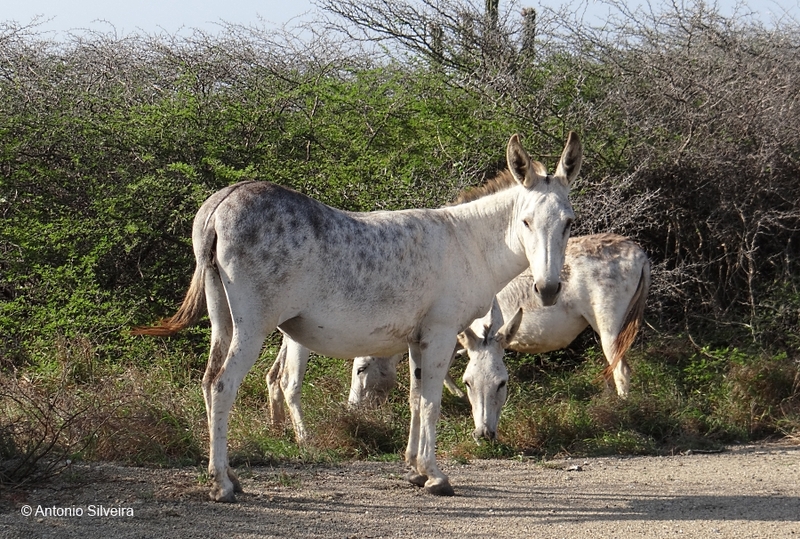 According local information and websites visited (bellow), the Donkey (Equus asinus asinus; Feral Donkey) of Aruba is originates from South Africa and the Mediterranean and were brought by the Spanish 500 years ago to transport. 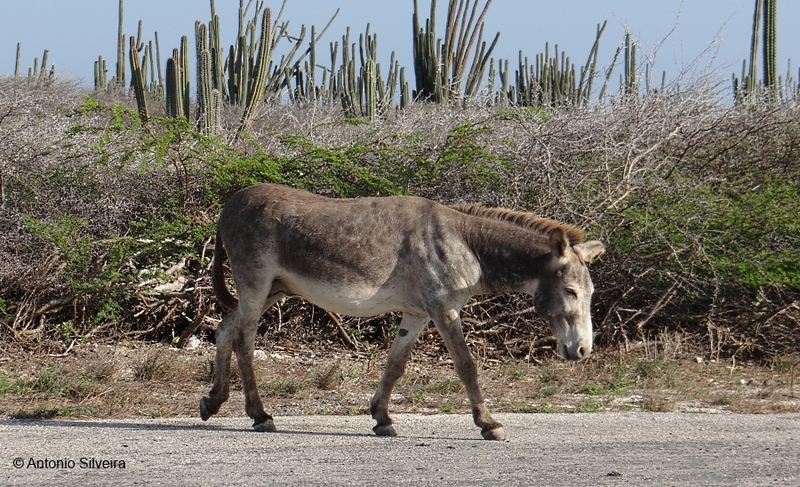 At the beginning of the 20th century there were about 1,400 Donkeys in Aruba, but with the development of transport this animals lost his main purpose and was abandoned by its owners. 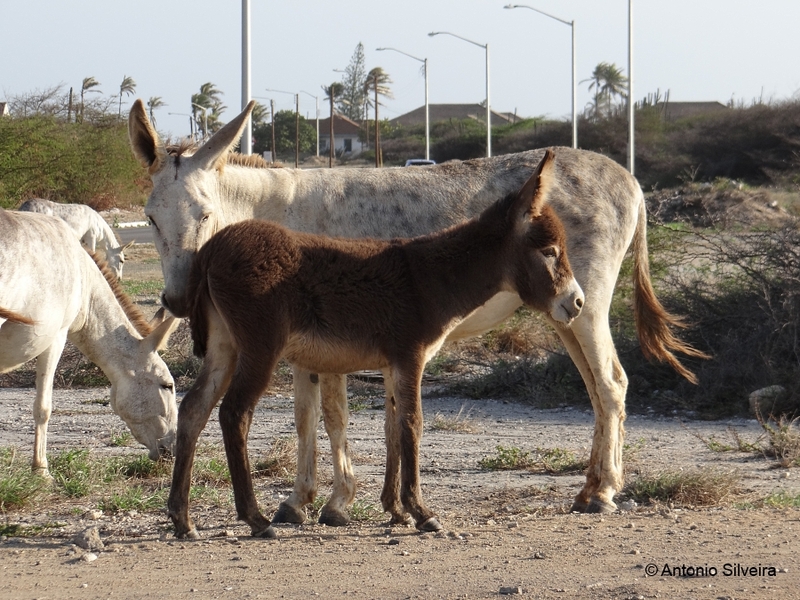 In the 1970s there were only 20 but with their protection in 1980s today its population is about 200 individuals (130 + care of the organization Donkey Sanctuary Aruba and 50 live still roaming the Island, according to the organization’s information). 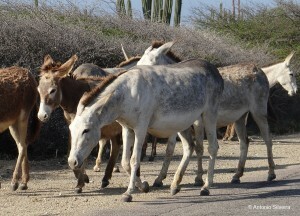 The wild Donkeys of Aruba are now protected and much loved by the islanders, including there is an organization to protect them (Donkey Sanctuary Aruba). 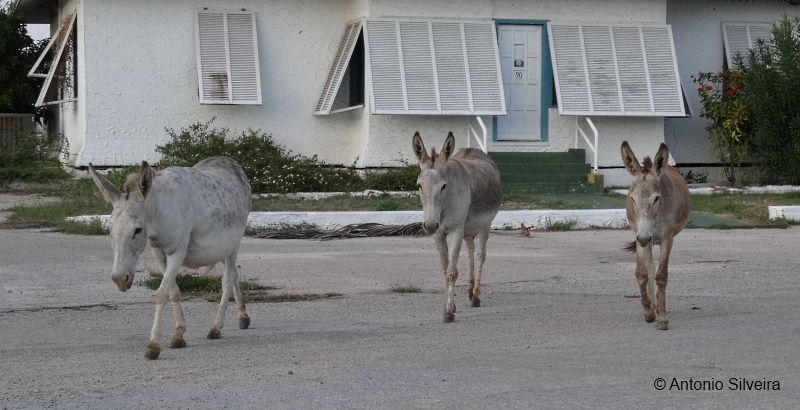 Really, it is very interesting watch them walking freely in the natural areas of the island or on the streets between houses. 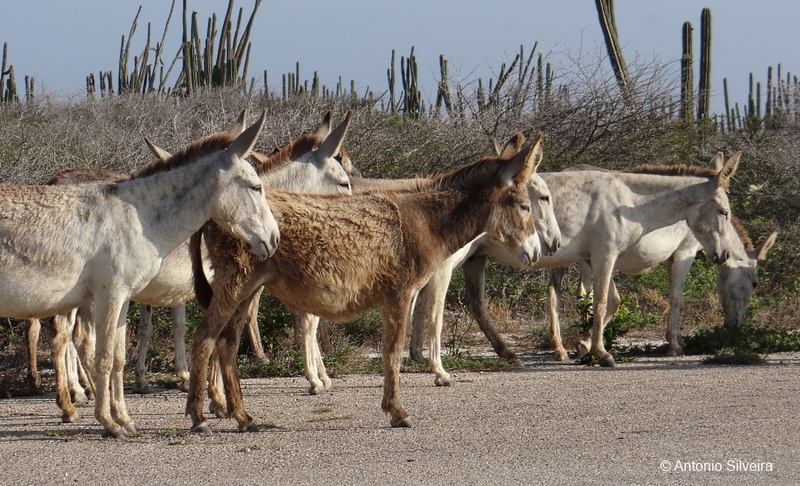 No doubt the friendly donkeys are a tourist attraction, and because good reasons (they are very graceful and survive freely for so many years in dry natural areas), they deserve our respect. 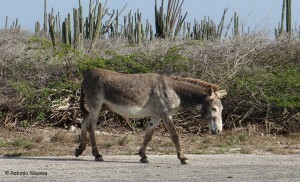 It is a Aruba national treasure. In 12 May 2013, and 19 May 2014, in Seroe Colorado we found a groups of “wild donkeys”. In 19-5-2014 was a group of 15 individuals. Amazing feeling to see these true heroic survivors. We had in front of us a view of the past history of the island. Witnessed incredible acts of group survival. It was a rare and unforgettable experience. By Antonio Silveira. Antonio Silveira: 13.5.2013. Last update:4-1-2015.